Measure your Foot: With your foot placed on the ground, nestled in the 90? corner angle of the wall, make sure that your heal is touching the back wall, and that the side of your foot is touching the side wall. Place a piece of paper underneath your foot and draw a line from directly in front of your big toe across to the side wall. Then use your pen and ruler to draw a straight line intersecting the line that you just drew in front of your big toe, back towards the rear wall. Find this measurement in the sizing chart below to determine which size to order. 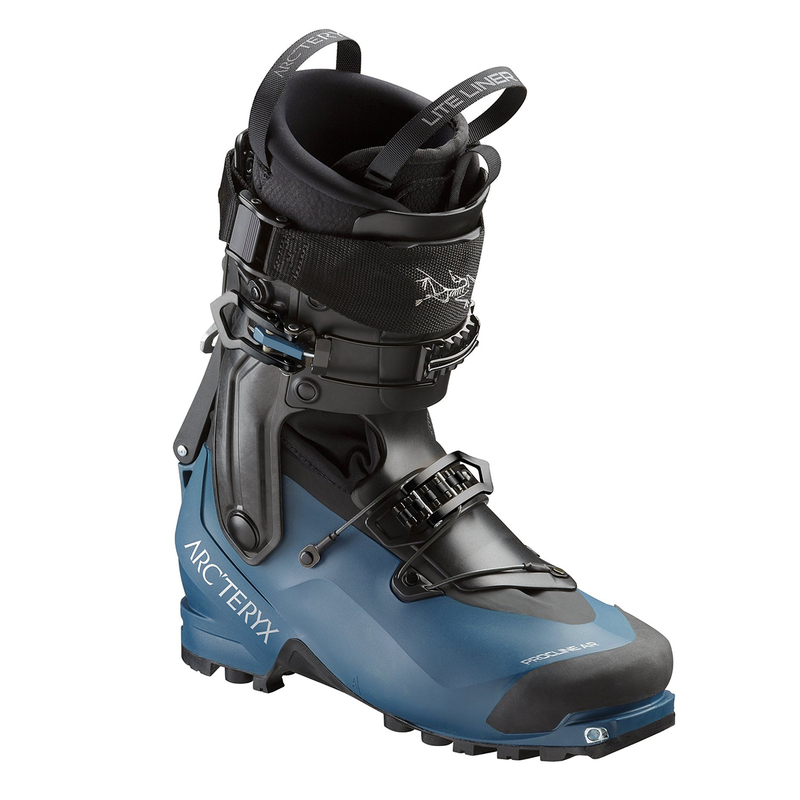 Arc'teryx Procline AR is a lightweight touring boot for backcountry skiing and mountaineering, combining support and response for the descent with superior agility while skinning and traversing, the Procline AR is specifically designed to deliver both uphill and downhill skiing ability while providing great performance on rock, ice, and snow thanks to its narrow last. On the uptrack, Arc'teryx's Procline AR patented carbon cuff provides 360° rotation in walk mode for climbing which offers a great agility. Thanks to this advanced material, the Procline AR achieve stiffer flex, while it reduces weight under foot, making it better for the uphill as well as the downhill. Confident response on descents comes from the rigid Ultramid shell, supportive liner, and wide powerstrap that micro-adjusts with Arc'teryx's patented cam lock for a precise fit. Procline: Ski alpinism systems for technical high performance in mountain environments. All Round: High performance weather protection and materials, emphasizing versatility for multiple activities. Waterproof Material: Impervious to penetration by water molecules, these materials provide shelter and protection. Tech Binding compatible (Dynafit certified inserts). Patented Cam Lock Power Strap fine-tunes fit, it is easier to adjust than hook-and-loop closures. Ultralight ULTRAMID SHELL 1000MPa provides rigid support for the descent. Full coverage high density SOFTSTRETCH gaitor with TPU reinforcements. Streamlined, low profile design buckles minimize exposure while climbing. Patent-pending Hybrid Closure System provides a secure, highly adjustable full-foot fit with no pressure points. Lite AR Liner thermoformable closed cell foam material minimizes water absorption. Vibram TOP85 Touring sole maximizes performance with minimal weight.